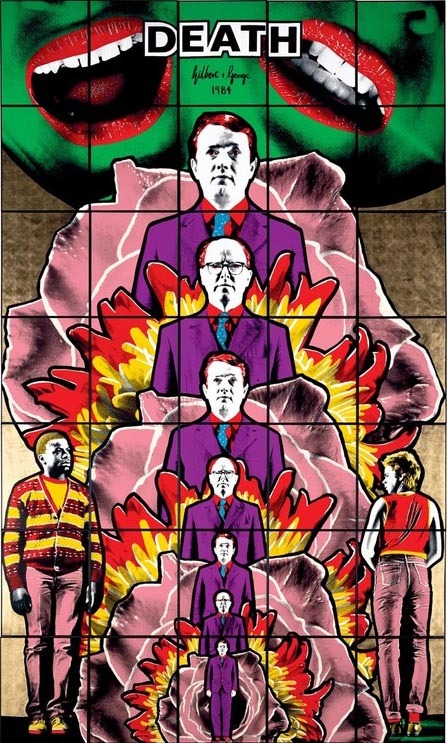 Gilbert & George (Gilbert Proesch and George Passmore). 1984. Death, Hope, Life, Fear. Handcolored photographs, frames. Paul Thek. 1966-1967. 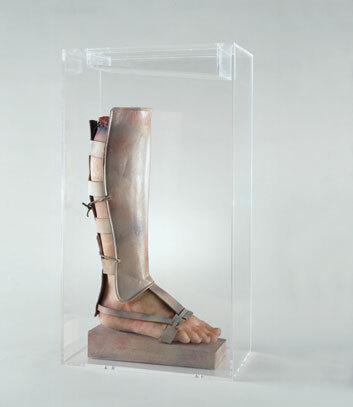 "Warrior's Leg." Lucite box, wood, wax, leather, metal and paint.